My First Book on Amazon! Posted August 28th, 2015 by Melody Taylor-Fliege & filed under Change, Life Coaching, Personal Growth. Mark Tuesday, September 1st on your calendar! It’s the day my first book launches on Amazon. I am a co-author in Book no. 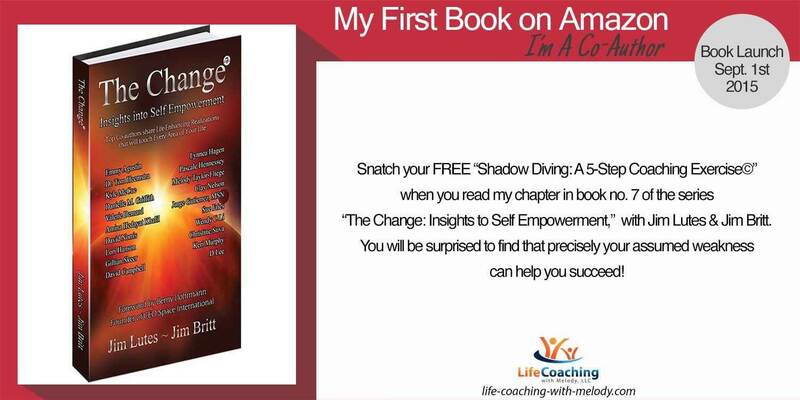 7 of the series, “The Change: Insights into Self Empowerment” with Jim Lutes and Jim Britt. Be sure to get one during the first 3 days of the launch and help us climb the charts by leaving a customer review on Amazon as soon as you can! I am surrounded by 19 other top co-authors with varied backgrounds from across the globe who share secrets for unleashing enormous personal change! You are sure to walk away with EXACTLY what will help you grasp what you’re reaching for! Take your life to the next level!